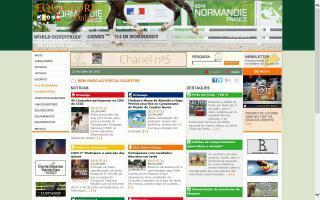 Portugal Horse Directory - O Horse! 'Casal dos Mogos' is a unique equestrian project dedicated to the wonderful Lusitano and located on the Silver Coast only 30 minutes from Lisbon. We offer high quality and reliable services, including livery, training for horse and/or rider, Lusitano stud tours, horses for sale, weekend breaks, and working holidays. 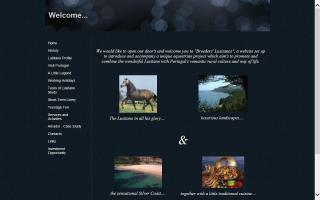 Through the Lusitano, we aim to promote the enriched rural Portuguese culture and way of life. We believe that you will most certainly find this tranquil location very friendly and welcoming. Correaria Machado e Goucha, Lda. Saddle makers, range from portuguese, spanish, mista, all purpose saddles and horse tack. 3rd generation saddle makers. High quality and high performance saddles with a true craftsmanship finish. Rua António Costa Carvalho Lt 278 R/C Esq. The Coudelaria Luis Miguel Folgado was started in 2000 and, since then, has been installed on the Monte da Boiada in Serpa. We aim to breed animals that, in addition to retaining all the morphological characteristics of the Lusitano horse breed, also have an exceptional aptitude for sports. A Lusitano Stud Farm with a story that began in 1897. Traditional Algarve bed and breakfast accommodation located in the heart of the Algarve near Silves, Portugal. Stunning b&b rooms and surroundings for you to enjoy, completely run by a Christian family in Portugal. We run horse riding weekends, so contact us for details. 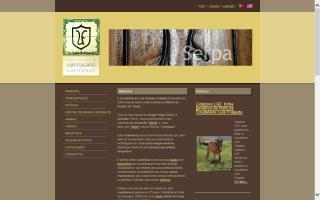 JD Lusitano and Portuguese Sport Horse breeder. Situated in a large green spot of Oeiras, in the heart of The Estação Agronómica Nacional (a national centre of agrarian research), about 20 mins from Lisbon and 5 mins from amazing beaches. With 15yrs experience breeding Lusitanos and Portuguese Sport Horses, our horses have shown their value on a variety of fields, from the bullfighting ring to high level dressage. Breeders of Lusitano horses in Portugal. Background on the Lusitano breed. 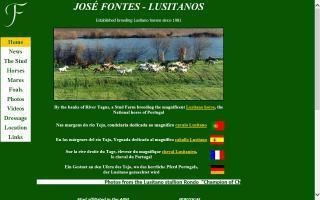 Information about Lusitano stallions, mares and foals. We welcome riders of all ages and levels, from small children to adults. 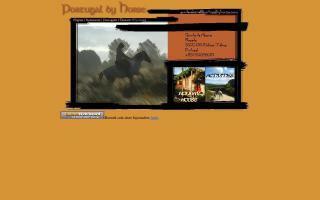 We have riding horses and ponies available for lessons. 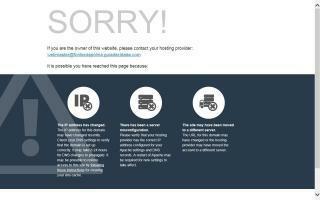 We speak many languages, including English, Portuguese, Swedish, and German. Adventurous horse riding holidays for experienced and inexperienced horse lovers, hour rides, or just relaxing in a romantic atmosphere. Our original and enchanting guest houses with their wide views make you dream away and enjoy millions of stars in the heart of Portugal.